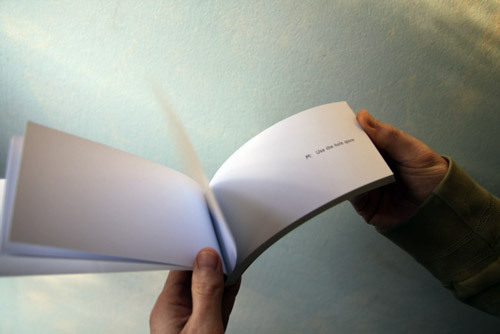 The book is based on email conversations between Robertina Sebjanic and Mari Lagerquist prior joint exhibition Connected by Signals at Herman Pecaric Gallery, Slovenia. The cut out sentences creates a loose and fragmentised narrative, though as reading develops, connections grow and links are created among the words. The wish of trying to make something together despite a distance and mundane obsticals becomes prominent. Front cover; part of a digital print that Mari Lagerquist showed at the exhibition Connected by Signals. The text has been edited by Ulrich Hansen. 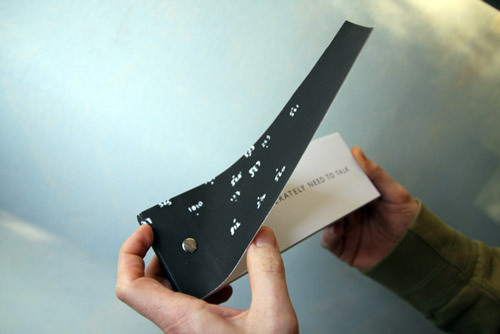 artist book – hand printed in a limited edition of 28 books.